A car charger that uses geolocation to track down your car. 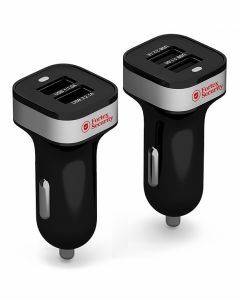 The Smart Tracker is a standout promotional item, that allows you to quickly charge 2 devices simultaneously when on the road and also acts as a geolocator so that you can find your parking space when out and about. Just download the "PXK CAR" mobile app, and connect via Bluetooth to use on both iOS and Android devices. The product can also be branded onto making it a high-quality multi-functional promotional item that is bound to leave a lasting impression. Click here to find out more about how the Smart Car Tracker works.